For more than 30 years, Camp Live Oak has been an accredited camp by the American Camp Association (ACA) and pride ourselves on being the only accredited camp in Broward county. Being accredited holds us to a standard of excellence that all camps should strive for. An accreditation does not come easy. We have gone through great lengths to comply with the more than 300 health, safety, and program quality standards. Below are FAQ about the accreditation process and what it means. What Does this Accreditation Mean? As an accredited camp, you can rest a sure knowing that extra steps and procedures have been implemented in securing the safety and health of your child. All of our staff have been fingerprinted and background checked on a local, state, and national levels and in addition, all staff are checked through the National Registry of Sexual Offenders and Predators. We also have a mandatory 25 hour staff training that each staff member must attend prior to the start of their employment. All activity area leaders, such as Archery and Canoeing Instructors and Lifeguards are certified in their areas of specialty, receiving Level 1 or higher instructor certifications. All staff members are certified in First Aid and CPR. 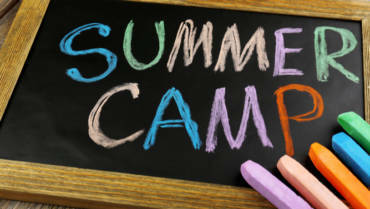 As part of this accreditation, we must maintain a strict camper to teacher ratio. Camp Live Oak has a 5 to 1 ratio and employs certified teachers and experienced outdoor educators as head counselors to lead camper groups. In addition, college students majoring in Elementary education, environmental and marine science, and outdoor recreation, work side by side with our Head Counselors to provide a safe, well run, and fun camp experience. Leaders in Training from our Teen Eco program (14 – 16 yr olds) are also assigned to groups throughout the summer and help provide assistance in camp activities and often bring the high energy that campers love. 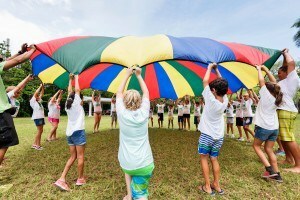 Are camps regulated by any local or state agencies?No, sleep away and day camps are not regulated by local or the State Of Florida agencies. 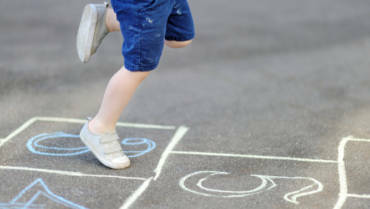 Unlike child care facilities, where many of the same standards required by the ACA are required to run a child care facility, anyone can open and run their own camp. It was not until recently that all camps were required to perform background checks on camp employees, something Camp Live Oak has been doing for the past 25 years. “Is my child going to learn anything? Or they just going to have fun?”ACA standards requires all camp programming to include programming that “promotes the mental, physical, social, and spiritual growth of campers.” Each year, Camp Live Oak employs teachers, biologists, Marine science educators and scientists that help develop a challenging, yet fun environmental based science program. A strong focus is on our beautiful and diverse Florida ecosystems and campers will learn through hands on activities and experiments. 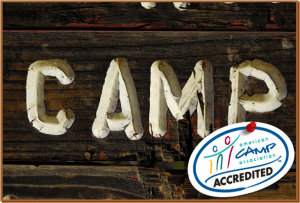 For more information on the requirements for becoming an ACA accredited camp, articles, and other helpful tips on choosing the right camp for your child, please visit the the American Camp Association website.